April 26, 2017, 1:09 p.m.
By Andrew Phelps April 26, 2017, 1:09 p.m.
Editor’s note: Last weekend was the latest edition of my favorite journalism conference, the International Symposium on Online Journalism in Austin. You can catch up on what you missed through these two epic YouTube videos of the two days’ livestreams. But there were two talks in particular that I thought Nieman Lab readers might be interested in seeing, from America’s two top newspapers, The New York Times and The Washington Post. Both Andrew Phelps, an editor on the Times’ Story[X] newsroom R&D team, and Joey Marburger, the Post’s director of product, spoke about how they were using bots in their news operations. Today, we’re publishing transcripts (lightly edited for clarity) of their two talks. Below is Andrew (who I should note used to work here at Nieman Lab); Joey’s talk is over here. We know about the explosion of messaging apps: 1.2 billion people use Facebook Messenger, 1.2 billion people use WhatsApp, which is owned by Facebook. Snapchat, in terms of nonnative iOS apps, is No. 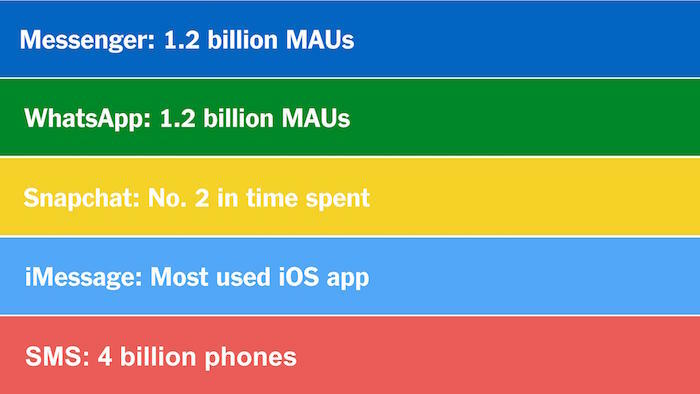 2 in terms of how much time people spend with that app. iMessage is the most used iOS app. And of course, good old-fashioned SMS is on 4 billion phones. So news organizations rightly went where all the users are. 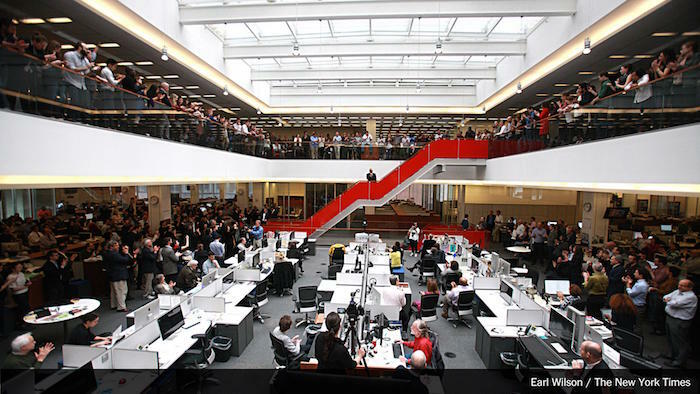 They rushed to get on these platforms, leading to what Nieman Lab called the botification of news. I think this is happening now because we’re moving toward this more personal relationship between news organizations and their readers, and the rise of bots happens at this moment because it really facilitates those relationships. This is so predictable — all the people who are worried that we’re going to automate all the humanity out of journalism. “Written by a robot: Will algorithms kill journalism?” I love this one: “Rise of the machine: Journalists under threat as AI robot writes article in 1 second”! That’s actually really slow for a computer. 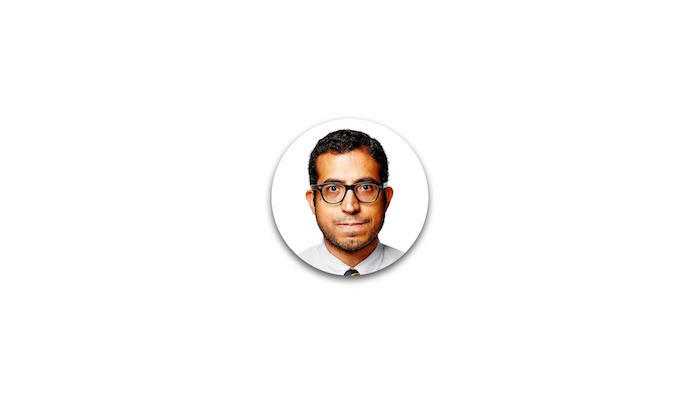 So I work at The New York Times, and The New York Times is actually filled with humans, with human people. We have 1,100 of them in the newsroom, and we’re really proud of them. Journalists, of course, are people with backgrounds and points of view and unique perspectives. And what I’ve noticed in the bot space is that there are a lot of great experiments out there where they’re either playful or useful, or sometimes both — but the bots tend to have their own personality. Like, a bot will have this sort of character created for it, or it’ll have a kind of voiceless personality. Or it’ll kind of take on the personality of the news organization — it has sort of an enterprise voice, right? But I figure we have all of these great humans that you know, are expensive and emotional and really hard to maintain. So why not squeeze more out of them, right? So here’s one of them: This is Sam Manchester. He’s a deputy sports editor. 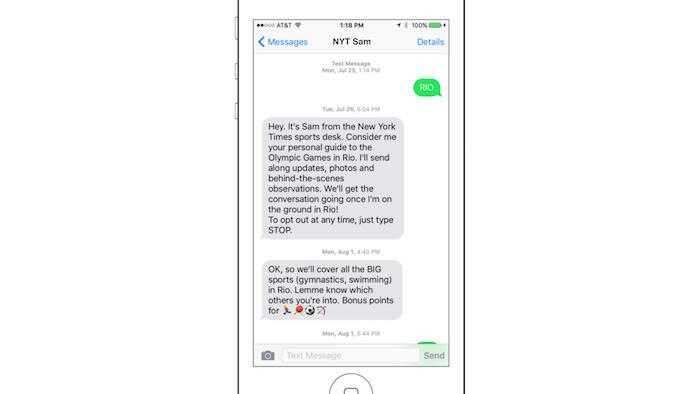 I don’t know if anyone had the chance to see this — it was a relatively small experiment — but Sam was one of a lot of journalists who went to the Rio Olympics, and we actually asked Sam to text with people, anyone who would sign up, his personal observations from the games. You know, not breaking news, not headlines that you can get anywhere else, but to talk to people the way he might send texts to a friend, right? It’s a pretty familiar interface. And I think what’s really powerful about this is, now all of a sudden, The New York Times (or at least NYT Sam) is saying “Hey.” When is the last time The New York Times said hey to you? 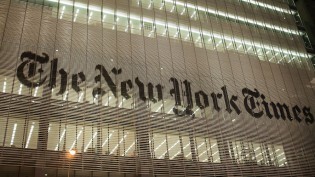 For a big old news organization like The New York Times, that’s a pretty big deal. And now suddenly The New York Times is appearing next to your mom, your friend, your significant other in a very kind of personal and familiar space. 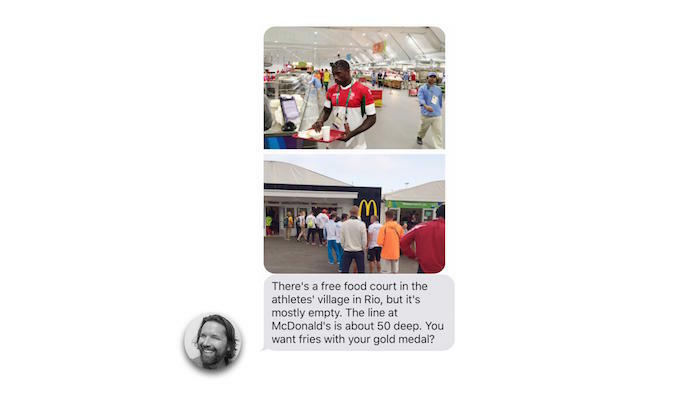 This is one of the texts that really was a crowd pleaser: Sam’s observation that no one was in the athletes’ village for food. They all went to McDonald’s. All these athletes went to McDonald’s — it’s that crazy. I thought that was amazing. And we really had to draw this out of him, right? Here as a trained sports editor, you know, first of all who’s not used to being a reporter — in fact, we had to take his photo because we couldn’t find a single one — but also who just wasn’t used to writing in the first person about what he was observing and really making it personal. And it was texts like these — observations that only he saw, that no one else could get anywhere else — that I think really brought this to life. We knew we had succeeded — this is sort of the ultimate sign of success when thefatjewish rips off someone who rips off Sam’s text marriage. I think this is the first text message to go viral — he was commenting on the world’s most pointless job. So what’s funny is people at the office would be like: “Great job on the bot, loving the bot. I’ve got some feedback, some thoughts on the bot. How come the bot doesn’t say this or that more often?” And we’d always be like: It’s not a bot. 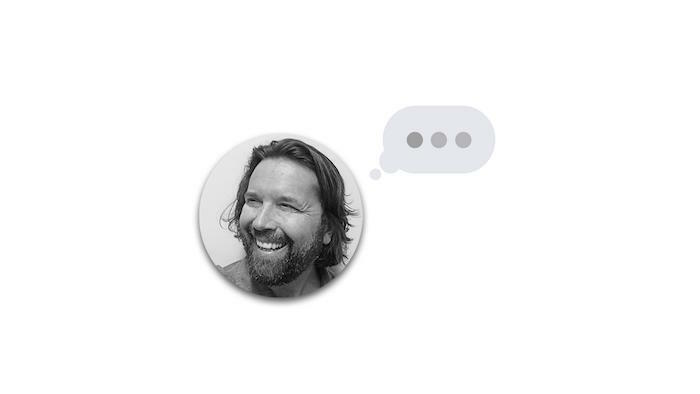 This is this is a real human person with, like, flesh and a brain sending you texts. There’s nothing automated about this. This was an effort in sort of radical humanity. But for some reason it was hard for people — it didn’t really stick. And I think it was hard for readers to understand sometimes — these were some of the responses we get. “Am I supposed to text back?” “Didn’t realize I’d get a response to a question — best part.” I think people we’re trying to understand how they should interact with this person. They’re almost like: Are you sure it’s a real guy? Are you messing with us? They don’t quite trust us. 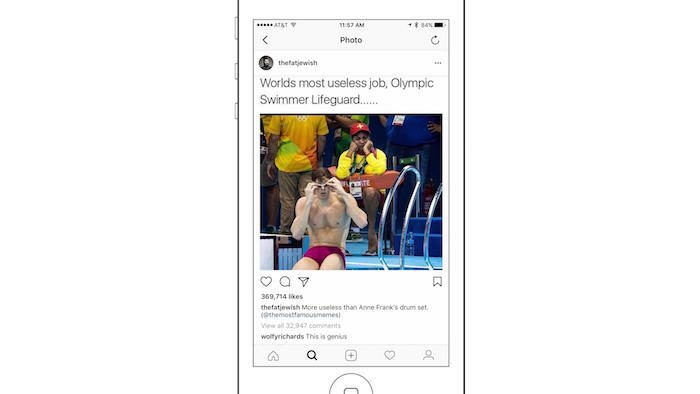 People had very personal emotional reactions: “If I had a friend at the Olympics who texted me 6 times the first week, I would end our friendship” — so that’s somebody who did understand that it was a person. But the overwhelming majority of responses was something like this. 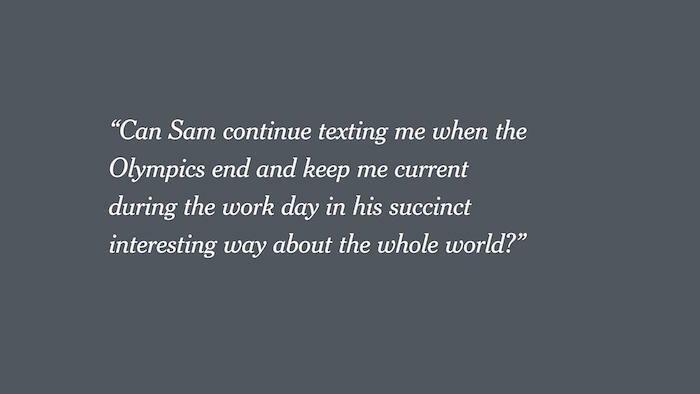 “Can Sam continue texting me when the Olympics end and keep me current during the work day in his succinct interesting way about the whole world?” Well, the answer is no, because we only have one Sam. Some data to give you a sense of it. So he sent 70 mass texts out to the audience. 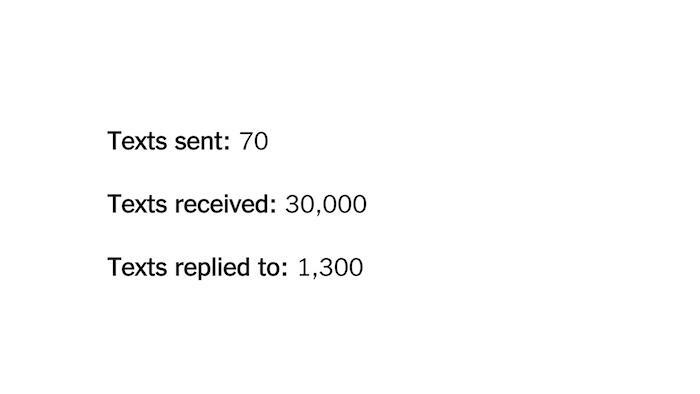 Thirty thousand replies came in, and he did his best to actually answer them individually. In fact, there was a Monday, sort of a down day in between events in Rio, where we did like sort of the equivalent of Ask Me Anything, where we promised that if you send him a text, Sam will answer your question. And he did it not 100 percent succeed. And so we actually had 3,500 people tell us, like, this is an amazing feat of journalism and this is so cool. We had a lot of other people saying “why doesn’t this guy ever write me back?” Including people inside the building, unfortunately, because we forgot to put their numbers in. The point is: Sam doesn’t scale. So it got us thinking: Well, how do we scale a human? How do we bring more of these one-to-one experiences to a wide playing field? That led to this experiment: So that’s Nick Confessore, one of the great politics reporters who was covering the Trump campaign during the election. 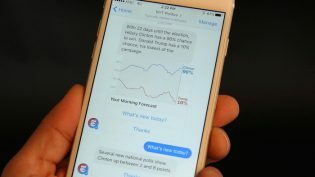 We created a Facebook Messenger bot — it was called NYT Politics Bot — and the idea was to combine the intimacy and charm of a human with the utility of a bot. So on the human side, Nick would actually script conversations every morning, choose-your-own-adventure style — and this is the important part — that reflected his point of view about the campaign from his unique vantage point. This wasn’t the voice of The New York Times. This wasn’t a quote-unquote “objective” experience. And people really, really reacted — they really liked this experience. We got a quarter of a million people to have some sort of an interaction with Nick Confessore that they thought was personal and sort of unique to them. On the automated side, we actually sent out daily alerts with the election forecasts. As you can see: “With 22 days until the election, Hillary Clinton has a 90 percent chance to win. Donald Trump has a 10 percent chance.” So there were some bugs that we were not able to work out in time. But the point is that we were able to give people real utility, not just the humanity. This is Gilbert Cruz, our television editor. He is a walking IMDb, he has every television show and movie in his head. And Gil is a great guy to be friends with if you’ve just finished binging on a show and you need a new show — because you can ask him what you should watch and he’ll give you the perfect recommendation. It’s a real privilege to be able to ask him that. But he doesn’t just spit out a recommendation. He usually responds with a question — he’ll say, “Well, what’s something you watched recently that you really liked?” And then you’ll say I watched such-and-such a show. And then say, “OK, what’s another show that you watched recently that you liked?” And you’ll answer. And what he’s basically doing is like establishing the common metadata of those shows in his mind to come up with a recommendation — and people love his recommendations. So we did this hack week where we brought him into the lab and we basically recorded him talking to people about what shows that he thought they should watch. And then we realized: This is structured data. Like, this guy taking this curated subset of IMDb, effectively, with his point of view built in, is basically creating structured data. We could make that a bot! 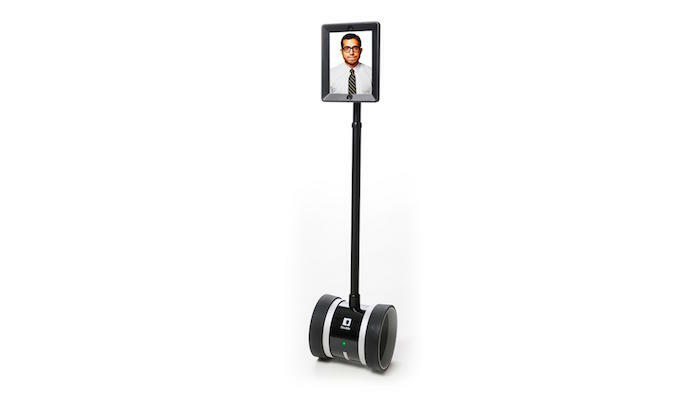 So we did — we called it Gilbot. That’s just a joke, actually — we did not create Gilbot, because somebody else beat us to the market. If you haven’t seen it, it’s called And Chill — it’s a texting service. It’s actually very clever; it’s very well done, and it’s very similar. So, you know, I think this demonstrates that there’s real value for people. 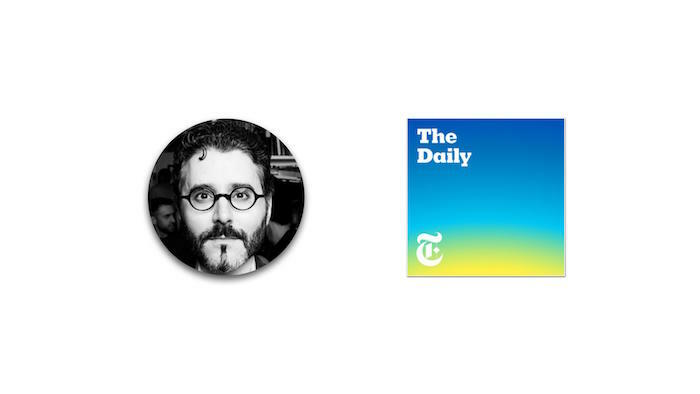 Finally, I don’t know if you guys have heard the new podcast from the Times, The Daily. It’s hosted by Michael Barbaro, an accomplished reporter and just a bright funny guy. 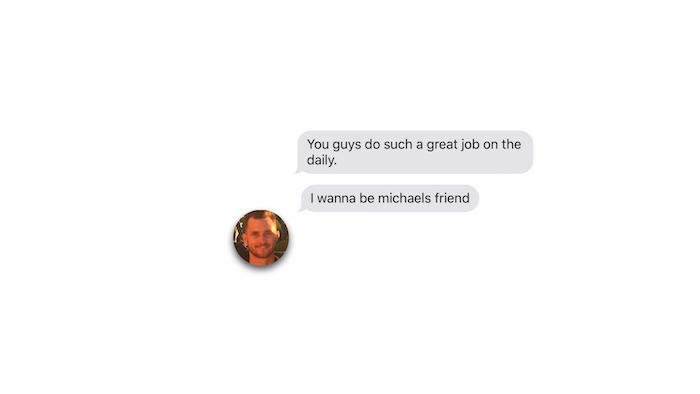 And actually we have a similar thing with Michael in that you can you know get texts from him every day, sort of like Sam did in Rio. And it really came home for me when my brother — this is my little bro Dave — texted me out of the blue. And he’s not he’s not like a podcast guy, or really a news guy. And he wrote “you guys do such a great job on The Daily — I want to be Michael’s friend. That got me wondering: Well, could we make Michael your friend? This sounds like I’m winding up to a big demo — unfortunately, I’m not, because it’s not ready. But we’re playing with the idea of creating a voice model of Michael Barbaro’s voice, similar to Alexa so that maybe you actually could interact and maybe even be friends with Michael Barbaro. It raises the question of whether that’s something people want. If we actually want to enter this uncanny valley of too human or not human enough. And I think that’s just a question that we don’t have the answer to. But the point I want to drive home is that I’m not worried about this technology driving the humanity out of journalism. I’m really excited about the promise of technology bringing more humanity to journalism and creating more one-to-one experiences with more people that otherwise might not have been possible. Photo illustration based on robot photo by Michael Dain used under a Creative Commons license. POSTED April 26, 2017, 1:09 p.m.
Phelps, Andrew. 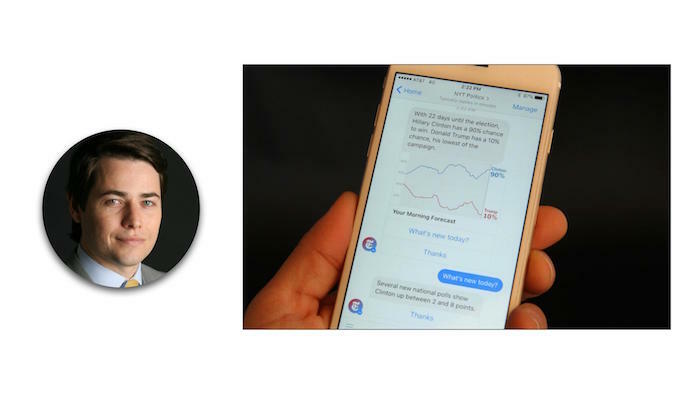 "This is how The New York Times is using bots to create more one-to-one experiences with readers." Nieman Journalism Lab. Nieman Foundation for Journalism at Harvard, 26 Apr. 2017. Web. 25 Apr. 2019. Phelps, Andrew. 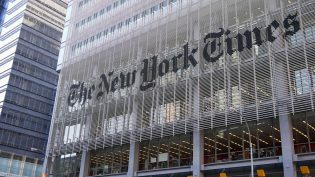 "This is how The New York Times is using bots to create more one-to-one experiences with readers." Nieman Journalism Lab. Last modified April 26, 2017. Accessed April 25, 2019. https://www.niemanlab.org/2017/04/this-is-how-the-new-york-times-is-using-bots-to-create-more-one-to-one-experiences-with-readers/.